In 2016, New Hampshire had one of the highest national opioid death due to overdose rates, a whopping 39 per 100,000 people. For a state with roughly 1.3 million residents and fewer than 100 high schools, this means that virtually every school community has, in some way, been impacted by this epidemic. As a principal in a small suburban New Hampshire community, I am starting to lose count of the number of funeral services that I have attended for students and former students from my high school community. The emotional toll weighs heavy on the hearts and minds of students, parents, teachers, and community leaders as we struggle to come to grips with what has become an opioid epidemic across our country. According to the Centers for Disease Control and Prevention website, opioids played a part in 42,249 deaths in our country, a statistic that is five times higher than what it was in 1999. Last month, U.S. Sen. Jeanne Shaheen visited my school to talk with students about this issue, particularly where her office should put its emphasis and priorities in the coming year as they work to address this national epidemic. She was joined by a representative from the governor’s office. The Eagle Tribune, a local newspaper, covered the event that was sponsored by a local community nonprofit organization called the Southern Rockingham Coalition for Healthy Youth (SoROCK). This group, like many other similar organizations nationwide, works to promote, support and sustain healthy life choices for youth and their families. The problems that my school faces with regards to opioid abuse are certainly not unique, but I think some of our proposed solutions may be — and Shaheen clearly agrees. During her visit, she was inspired by the stories from our own students on how they have become empowered to speak up and take action on such an important cause. For them, as one community member put it, they were "breaking the code" by stepping out of the shadows to explain to adults what is happening beneath the noses of adults, in a world where teens are experimenting with substances, oftentimes in an effort to mask an underlying mental health issue that has gone unnoticed, undiagnosed or untreated. Perhaps their shining example of a project that has the potential to change the tide in our community has been the recent development of a teen community center that is being marketed and run by teens, for teens. Years ago, the Austin17House building was a former church-owned school, sitting vacant like a blank slate, just waiting to be repurposed and brought back to life. Just one year later, with the assistance from several community organizations, it has become, as its website suggests, a place "to build an atmosphere of fun & self-acceptance, for the purpose of creating stronger community through collaboration, stronger leaders through mentorship, & stronger families through education & support." The teens in our community have a huge voice in deciding the programming, events and services that are offered by the teen center, and the net result has been a huge buy-in from youth as a whole. On a Friday night, it is not uncommon to find the center packed for a dodgeball tournament or an all-night lock-in. In just one year, the center has filled a huge void for youth in our semi-rural community where other "fun" events may be a long car ride away. In recent years, the local Lion’s Club International chapter has developed a successful teen club known as the Sanborn Leo’s club. As with the students involved with Austin17House, the Leo’s have seen increased engagement from students in our school because the group is run for students, by students. Students have maintained a high degree of voice over the priorities and direction of the club, and as a result, have chosen to dedicate some of their time and resources to prevention work. 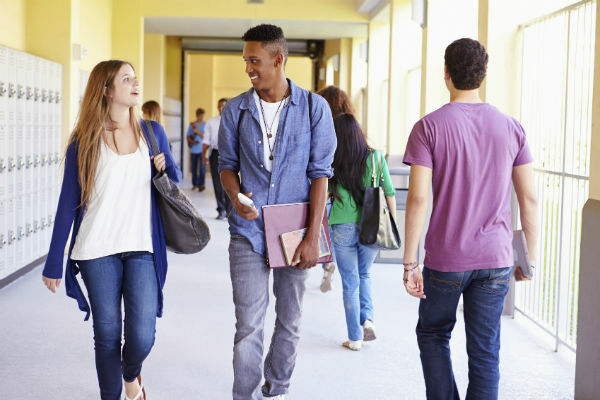 Schools often hire student assistance counselors to oversee these efforts and act as a liaison between school counselors, school administrators, community organizations and community-based social service providers to address the needs of at-risk students. What can others learn from all of this? Addressing the opioid problem with youth starts with schools and community organizations finding ways to empower youth to engage in the problem and work collaboratively on the solution. This is, perhaps, some of the most authentic real-world learning our kids may ever find in their schools in the years to follow.